It is no longer a matter of if but when, and to what extent, we will see a downward pricing event in Dallas, Denver and Houston. Prices are rising too fast in these cities, and there are no underlying fundamental changes in their economies to support current pricing, especially in the face of a booming stock market. In mid-2012 my colleagues and I made similar statements, primarily using data from the beta version of the Beracha, Hardin and Johnson Buy vs Rent Index, (e.g. ). However, at the time, the directional change was from falling house prices to rising house prices. New data is now in that suggests another directional change in house prices in some major metropolitan markets. This time the directional change, unfortunately, is from rising prices to falling prices. All three cities have seen recent higher housing price appreciation compared with the increase in rents. This is what is generally driving the results in our index. Conversation with locals is often punctuated with "rents are rising so fast." Our data shows that as well; however, in all three cities the cost of ownership is sky rocketing even more. 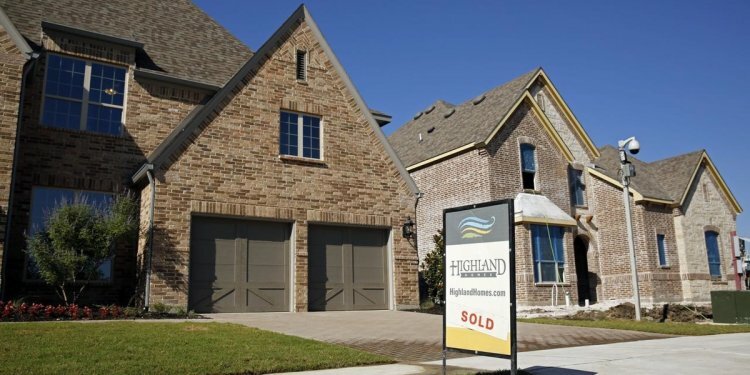 Specifically, while over the last three years rent prices in Houston, Dallas and Denver increased at a fast pace of 16.6 percent, 13.3 percent and 19.7 percent, respectively, the housing price appreciation in the same cities was materially higher (29.6 percent, 29.5 percent and 37.9 percent, respectively). I believe this is spurred by a general shortage of housing (rental or owner-occupied) brought about by the lack of construction during and immediately after the recession. My colleagues and I developed the BH&J Index to help guide people trying to decide whether to buy or rent in different parts of the country. The index examines the entire housing market in the United States and isolates the markets of 23 key cities by looking at whether current market conditions favor buying or renting a home in terms of wealth creation over a fixed holding period in a particular market relative to historical market conditions and alternative investment opportunities. It essentially conducts a "horse race" comparison between an individual that is buying a home and an individual that rents a similar quality home and reinvests all monies otherwise invested in homeownership. The index's results are standardized between 1 and -1, with negative scores favoring ownership and positive scores favoring renting. The BH&J Index provides information on both the direction and health of varying housing markets, as well as collateral information for real estate professional, developers, lenders and housing policy makers. Because we look at alternative investment into a portfolio of stock and bonds, wealth growth from renting a comparable property and reinvesting into this alternative portfolio provides strong headwinds against ownership. The index values of Houston, Dallas and Denver are 0.64, 0.46 and 0.53, respectively. These values correspond with roughly 1.5 standard deviations above the buy-rent equilibrium for Dallas and Denver and two standard deviations above the buy-rent equilibrium point for Houston. One way to interpret these values is that over the traditional U.S. housing tenure period of eight years, renters in Dallas and Denver have an 85 percent probability of outperforming homeowners in terms of wealth creation. For renters in Houston, the probability of outperforming homeowners is 95 percent. These probabilities are based on the assumption that renters invest any amount that they otherwise would spend on down payment and other homeownership expenses in excess of their rent amount into a diversified portfolio of stocks and bonds. These renter-friendly probabilities will eventually put downward pressure on the demand for homeownership in these areas, resulting in falling prices. For this reason, I strongly urge potential buyers in these areas to bargain more aggressively, do more due diligence, and, in general, consider a wider range of investment opportunities.